The remains of Mont Amoena, January 1912. 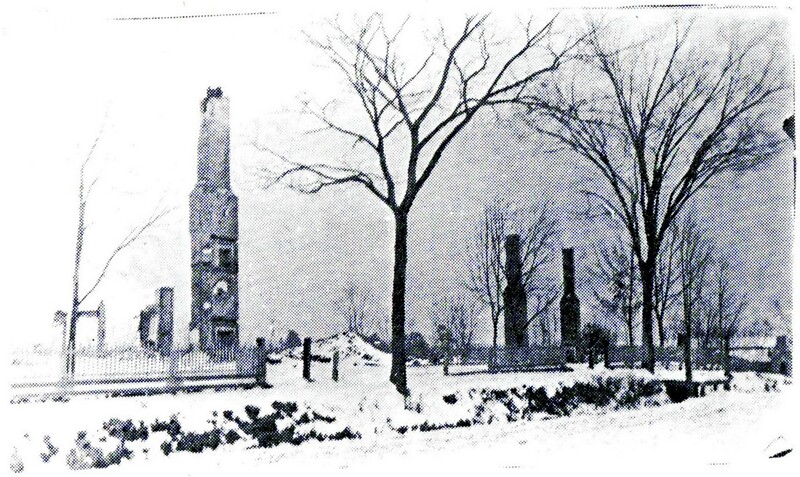 Just before 9:00 p.m. on Thanksgiving night, November 30, 1911, Mont Amoena Female Seminary burned to the ground. 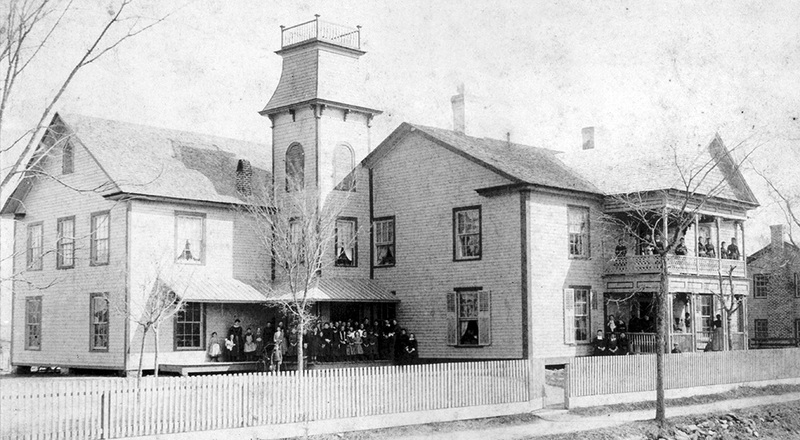 While most of the students and staff members were away for the evening attending the semi-annual school play at the town auditorium over Cook and Foil’s store, a wood stove located in a second floor dormitory of the expansive wood structure created a fire that ultimately engulfed all of its fifty-five rooms and threatened the whole town of Mount Pleasant. An alarm quickly spread throughout the building as a number of students were still preparing their work for the next day’s recitations. With no fire fighting equipment of their own, the townspeople created a bucket brigade and saved the surrounding structures as well as some of the personal effects of the students. Mrs. Leah Blackwelder Fisher, wife of seminary principal Rev. 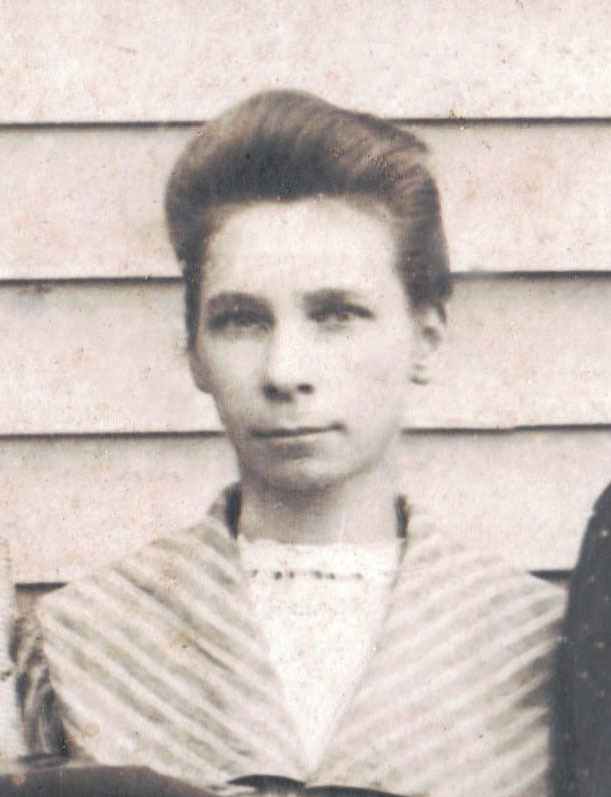 J. H. C. Fisher, narrowly escaped when she became trapped by flames on the second floor. The fire forced her to jump from a window, but people on the ground below caught her uninjured. Thankfully, there were no fatalities. They saved three of the school’s six pianos, but everything else connected with the main seminary building and the annex burned. One particularly difficult loss was the library collection. The fire affected about 75 people, including faculty and 54 boarding students. President Rev. J. H. C. Fisher took a personal loss of $3,500 and the total loss to the NCLS was $15,000, with insurance covering only $5,500. the church. Negotiations between Mont Amoena administrators and the NCLS would prove that an uncertainty of purpose prevented them from any decisive action to fully commit to providing support or leadership to ensure Mont Amoena’s future. formed a committee to solicit subscriptions of cash, material and labor, and another to acquire building plans and secure additional property. The Mont Amoena Alumnae Association pledged $2,000.193 Although their children were not students, the local African American community expressed sympathy for the loss, for they lost employment in the laundry and other service positions. Through sheer determination, classes resumed on January 2, 1912. MPCI offered part of its building for seminary use and the town auditorium and several vacant buildings were also made available. Private homeowners housed the girls and teachers, and students traveled to the teachers for their lessons. The addition of an exterior staircase at the Lentz Hotel allowed the girls to enter and leave their rooms on the second floor without passing by other guests in the lobby.195 Similar arrangements continued during the 1912-1913 session, although enrollment dropped to 43 due to the lack of facilities. Still, the senior class gave a Lost Cause inspired play called “A Fighting Chance,” with proceeds to support a library fund. The following May, seven senior girls graduated to a full music and literary program dressed in red and wearing red carnations. Miss Olive Gnann read a valedictory speech bidding farewell to the seminary. The Concord Times reported there was not a dry eye in the house.